Movies that take place in Halloween. Captain Bipto: What's the problem? Just vaporise; everyone, everything, boof, mission accomplished, medals, awards, a parade, next! 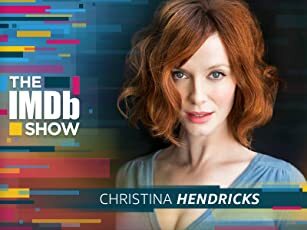 Giggywig: No! Wrong! False! None of the above! Why: because we're not supposed to be here! Giggywig: We goofed, we erred, we misinterpreted the data at hand! I understand many will think "Spaced Invaders" a lame farce about little green men trying to take over Earth; but believe me, compared to "The Sorcerer's Apprentice," which I have just finished watching with my family, "Spaced Invaders," along with "Who Framed Roger Rabbit" and "Honey, I Shrunk the Kids", makes me weep with nostalgia for how low Disney has fallen in quality. 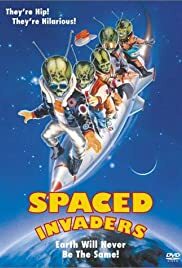 While "Spaced Invaders" is the film of least quality of the trio I mentioned, it nonetheless has a cheeky sense of humor, with a wonderful script and actors (er, voice-over artists for the Martians) who make this film highly watchable (and with no lame CGI effects of dragons or fireballs to ruin the fun!). The Martians themselves make a great team. Their antics and delusions of grandeur are insanely fun to watch. One person compared the ostensible military commander of the Martians to Invader Zim, the protagonist from the eponymous Nickelodeon cult classic, and I think it is an apt comparison. Why does one Martian have a Jack Nicholson voice? I don't care, and I love it. Enjoy the futile attempts of the Martians to get their jalopy of a spacecraft to go airborne, and their desperate fight against the hicks and yokels of Big, Bean, Illinois. The human robot slave is one of the coolest sidekicks I've seen, and his creation, a robot made from tractors and other farm machinery, is one of the best special effects I've seen in a Disney movie. How can you hate his best line: "the smell of battery acid makes me thirsty!"? Answer: you can't. This is one movie where you root for the alien invaders all the way. The human, denizens of a small Midwestern farming town, are made to be less than sympathetic characters, especially the wicked banker named Clembecker (or whatever his name was). One of the good humans is a brilliant example of character design, a crazy, wiry old farmer named Wrenchmuller who has a way with words and with nitroglycerin. The kid in the duck costume who also speaks with a lisp is also fun to watch, though he isn't in the film all that much. Don't take "Spaced Invaders" too seriously as a film, nor look for any important theme or message. Sit back and enjoy Disney before CGI and Jerry Bruckheimer eliminated any camp value the company once had.